I’ve been teaching students how to understand and read the Bible missionally for about a decade. This was my favourite piece of student feedback. In the class was a student who had agreed to preach at his home church after term had finished. At the end of the module he said that the way he approached the sermon changed as a result of his studies. That’s how I knew the teaching had ‘landed’. Yes, there were good essays submitted. Yes, we had rich conversations. But here was someone whose learning had made the transition from classroom to pulpit. Some days you just have to punch the air and give thanks to God that you get to do this stuff for a living! This July (23-27th) Rosalee Velloso Ewell and I will be teaching ‘Reading the Bible Missionally’ as part of Redcliffe College’s UK Summer School. It can be taken as part of our MA in Contemporary Missiology or as a standalone, non-validated week of teaching for personal and vocational development. But why should you, a church leader, invest time immersed in a missional reading of the Bible? Here are five reasons why I think you’d love it and your ministry would be enriched by it. What biblical texts do you most associate with mission? Matt. 28? Luke 4? John 20? Gen. 12? Isa. 49? All vital passages for understanding God’s mission, of course. But have you ever found yourself wondering if there is more to say on these Scriptures? A missional reading of the Bible helps us to articulate questions we may not have considered before. In so doing it helps us to revisit familiar texts in fresh ways. To see this at work in the context of Bible study, see my previous post, Making Bible Studies Missional. One of the really exciting things about a missional reading of the Bible is the way this approach breaks open new possibilities for connecting ANY biblical text with God’s mission. This is not to downplay the complexity of reading certain texts missionally; indeed a good missional reading will probe those complexities. I’ve seen the benefit of a missional approach through students working fruitfully on Nahum, Ecclesiastes, Song of Songs, and Esther, as well as the Beatitudes, and women in Luke’s Gospel. And if you need further proof that a missional approach enables us to be attentive to an unlikely source of biblical reflection on mission, consider that my own PhD was on a missional reading of Job! A missional reading makes us more attentive to mission in the Bible and the Bible in mission. It heightens our awareness of our identity as God’s people and our role together in God’s mission. At its best a missional reading of Scripture makes us all more attuned to the call to follow Jesus and make disciples. It challenges the whole congregation with a whole-Bible call to engage in God’s mission. It critiques the notion that there are those that ‘do mission’ and those that don’t. It confronts our simplistic divisions between ‘local’ and ‘global’. It comforts us in our pain and says that even in our brokenness (perhaps especially in our brokenness) we have a part to play in God’s purposes. A missional approach to the Bible can be a way of encouraging a congregation to turn our disposition to God’s mission as a central part of who we are, rather than relegating it to the periphery. Because a missional reading breaks open multiple layers of possibility for thinking biblically about the Church’s participation in God’s mission, there will be no member of the congregation for whom it won’t apply. Maybe you need to immerse yourself in a missional reading of Scripture just because it will do you good! Maybe you are tired, or feeling battered by the pressures of ministry. Maybe you feel like you’ve been running on empty or that you’re looking for a fresh approach to your preaching. Maybe you’re curious about what a missional reading might mean for your own Bible reading, prayer, preaching and leadership. Maybe you love studying but need the discipline of a structured programme. Whatever the reason, maybe spending a week immersed in a missional reading will do you good! For more information on joining Rosalee and me this Summer, visit: UK Summer School, MA in Contemporary Missiology, or drop me line. For details of costs and how to apply to ‘audit’ the module click here. See you in July! Let me ask you a question: how important has reading and studying the Bible with others been in your discipleship journey? If you’re anything like me you have sat together in a small group to study the Bible on numerous occasions, grappling with the text’s meaning and its implications for your lives. Let me ask you another question: how overtly ‘missional’ have those studies been? What I mean by this is: how explicitly do we relate our engagement with the biblical text to mission, throughout the study and not just as an addition as part of the application at the end? How can we make our Bible Studies more missional at a fundamental level? The leadership of Redcliffe College and Trinity College, Bristol, announced today the launch of a collaborative initiative that will make a ground-breaking contribution to how the Church engages with the Bible and mission. With the aim of ‘serving the Global Church through missional engagement with the Bible’, the Centre for the Study of Bible and Mission (CSBM) initiative builds on previous work done by both Colleges, and will be a platform for new areas of teaching, research, writing and speaking. Over the coming months, CSBM is planning an array of activities for the public to engage in. Starting with an initial launch event in the autumn, the Centre will run public lectures with significant keynote speakers and subjects; hold regular research seminars; and host new articles and discussion points on its website and blog, with content produced by CSBM’s contributing faculty and students. The Centre is co-directed by Dr Jamie Davies (Tutor in New Testament at Trinity) and Dr Tim Davy (Lecturer in Old Testament and Mission at Redcliffe), who jointly coordinate the activities of CSBM. Potential students wanting to work in the area of the relationship between the Bible and Mission will be able to study through Redcliffe’s MA in Contemporary Missiology (Bible and Mission) or Trinity’s PhD programme. 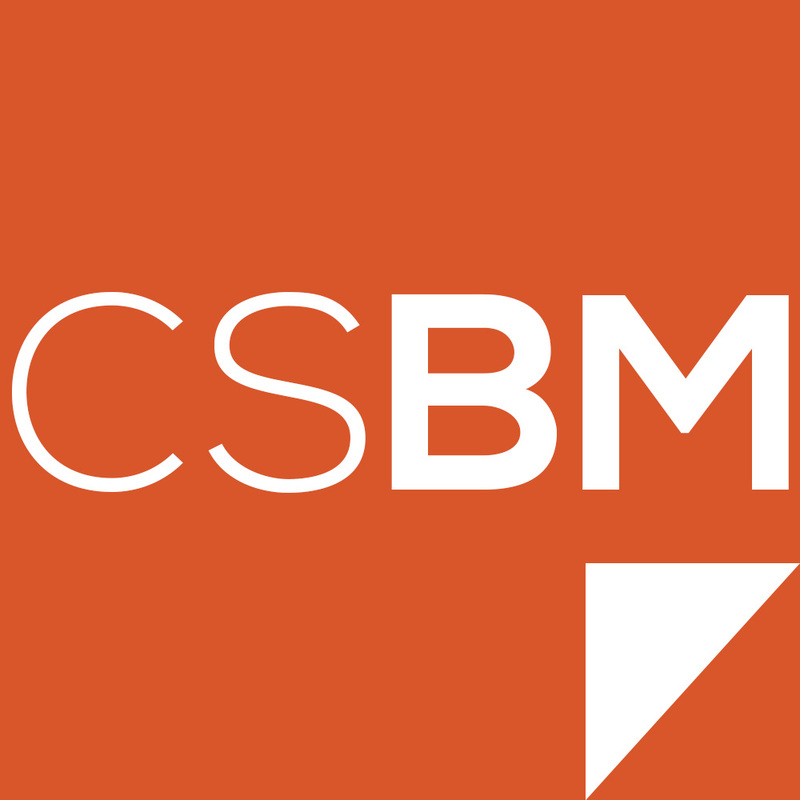 To find out more about CSBM and some of our upcoming activities, use the menu at the top of the page. You can subscribe to the blog at the bottom right of this page, and be the first to know about any upcoming events you might wish to be a part of. To discuss studying Bible and Mission at Master’s level, contact Tim Davy at tdavy@redcliffe.ac.uk. For those interested in studying at PhD level, contact Jamie Davies at j.davies@trinitycollegebristol.ac.uk. For media enquiries or to request an interview about anything in this press release, contact James Clarke at jclarke@redcliffe.ac.uk. I love to find ways of local and global expressions of mission fuelling each other. As we in the UK church seek to share Jesus with people in our increasingly complex, multi-cultural communities, what can we learn from sisters and brothers around the world who have been communicating the Bible cross-culturally for decades? The thing I want to highlight in this blog post is that if we (that is, UK churches) are to orient ourselves and our church activities and cultures to a more missional, outward-focused perspective, we’d be crazy not to draw on the rich insights of cross-cultural mission thinking and practice! Well done Claire, we’re all proud of you! I spend a lot of my time thinking about what the Bible says and what the Church does with what the Bible says. How you and I involve the Bible in justifying our actions or those of others should be held up to rigorous scrutiny. The importance of this simple observation is evident in the current debate over Franklin Graham’s support of President Trump’s executive order temporarily banning refugees and immigrants from several countries. In an article on the HuffPost website, Graham used the phrase, ‘That’s not a Bible issue’ and it is this wording (and what it implies) that I’d like to explore. I’m not claiming this to be an analysis of the whole debate, or that I am able to offer an authoritative voice on all the issues. I do, however, want to attempt to bring some clarity to this one particular aspect of how the Bible has been used. The Huffington Post spoke with Graham on Wednesday, and asked whether it’s possible to reconcile Trump’s temporary ban on refugees with the Christian commandment to welcome, clothe and feed the stranger, and to be a Good Samaritan to those in need. Graham said he doesn’t believe those two things need to be reconciled. A former colleague of mine here at Redcliffe used to give students three questions to ask when reading something, to which I have added my own annotations. There are many other questions we could ask, of course, but let’s stick with these three. ‘What are you saying?’ This is a question of clarity. Have I taken the time to be clear on what the author/speaker is (and is not) actually claiming? This matters in terms of accuracy but is also a matter of principle and respect to the person writing/speaking. ‘How do you know?’ This is a question of methodology. How has the author arrived at their claim? What assumptions have they made to get there? What logical steps have led them to this conclusion? ‘So what?’ This is a question of significance. What are the implications of what the speaker has said? This could be significance in terms of what it reflects about the author’s context and role (especially when in a position of influence). It also has to do with the practical consequences of what they are saying, or the effect their words may have beyond their own immediate action. We might say, if people take this word seriously, how might this change their behaviour and what would be the consequences of this? So let’s apply these questions to Graham’s statement, or at least the sound bite that people have focused on, ‘that’s not a Bible issue’. What is he saying? The ‘that’, which Graham considers ‘not a Bible issue’ is the idea of a government policy that would ‘let everyone in who wants to come’. There is no biblical command, says Graham, requiring a country to do this. A response to Graham’s comment that simply lists the multitude of biblical injunctions to welcome the stranger and care for the alien doesn’t directly address what he is saying. It is not the biblical requirement for caring for the vulnerable he is questioning; it is how that requirement should, or should not be adopted as government policy. The problem is, of course, that Graham has set up a ‘straw man’ by arguing against an extreme idea of uncontrolled, completely free immigration. The logic doesn’t work on a couple of fronts. Defining a ‘Bible issue’ this way is a very narrow way of understanding biblical ethics. It is essentially requiring proof-texts for behaviour and policy rather than the construction of biblically informed frameworks with which we can think ethically. The argument is also advocating against a form of immigration policy that isn’t (to my knowledge) being debated. He is not arguing against a representative view of critics of the policy, but a straw man. In this way the opposing view is dismissed by association with the extreme form. So what? What’s more important: the way an argument is made, or the effect that it has? Graham’s statement has been used to give credence to the current government policy. It implies that the policy is not incompatible with biblical teaching and, therefore, provides a biblically satisfying way of supporting the policy. In my view it is a way of deflecting the debate because it has the effect of undercutting the biblical teaching on caring for the vulnerable. It places biblical objections to the policy (i.e., the views of those within the Church opposed to the policy) to the sidelines. It basically says that because the Bible does not have an explicit commandment requiring an extreme form of a specific government policy, the Bible is therefore irrelevant to this matter. Hence, it is not a Bible issue. I have written previously on the Bible’s call to care for refugees and asylum seekers. In my view Graham’s way of justifying his support for the policy is based on an argument that does not stand up to scrutiny. It seems to me that in this case the Bible has been used inappropriately and unjustifiably, but that it has the effect of giving the perception of biblical credence to the policy, and this needs to be challenged. As I said at the start, this post does not attempt to tackle all the issues in the debate. I do not believe the Bible can be used legitimately to justify the policy under debate and I am deeply concerned with the way it has been used. The focus of this post has been about the latter. My main point is this: if we are going to evoke the Bible when discussing controversial issues (whether ‘within the Church’ or in the ‘public sphere’) let’s do so rigorously. And that applies to me too.